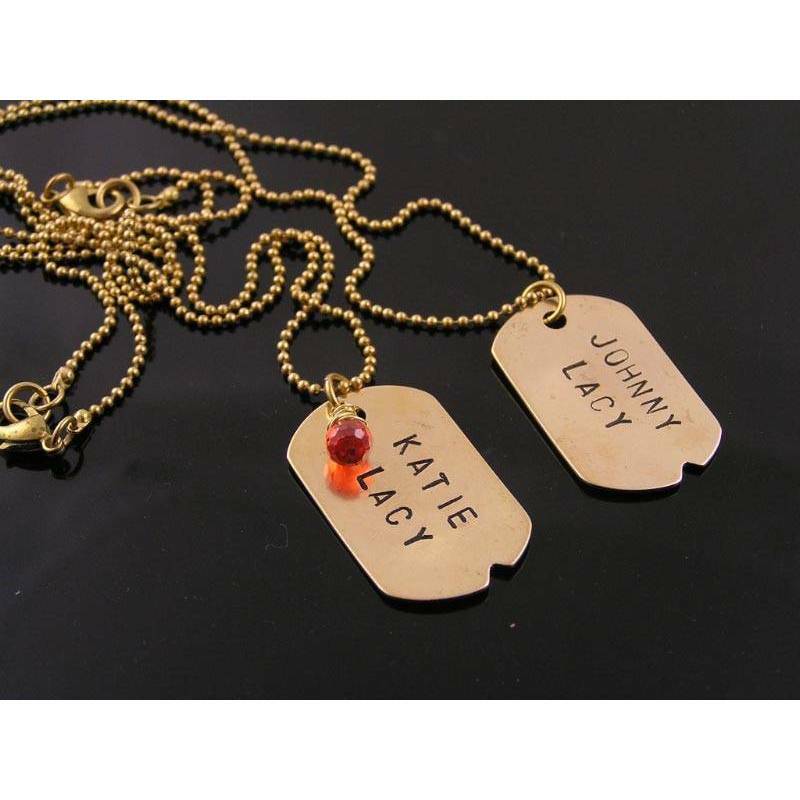 Two necklaces with a dog tag each, ready to get personalised. 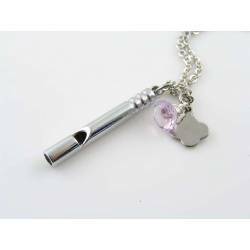 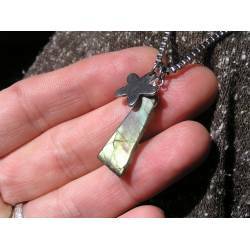 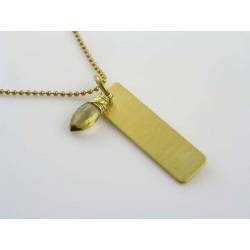 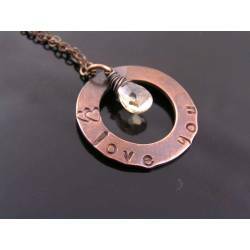 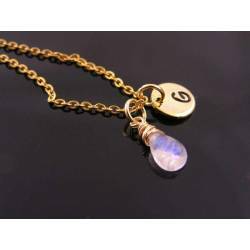 I have included one sparkling cubic zirconia for one necklace, but your custom order can also have gems for each necklace or no gems at all. 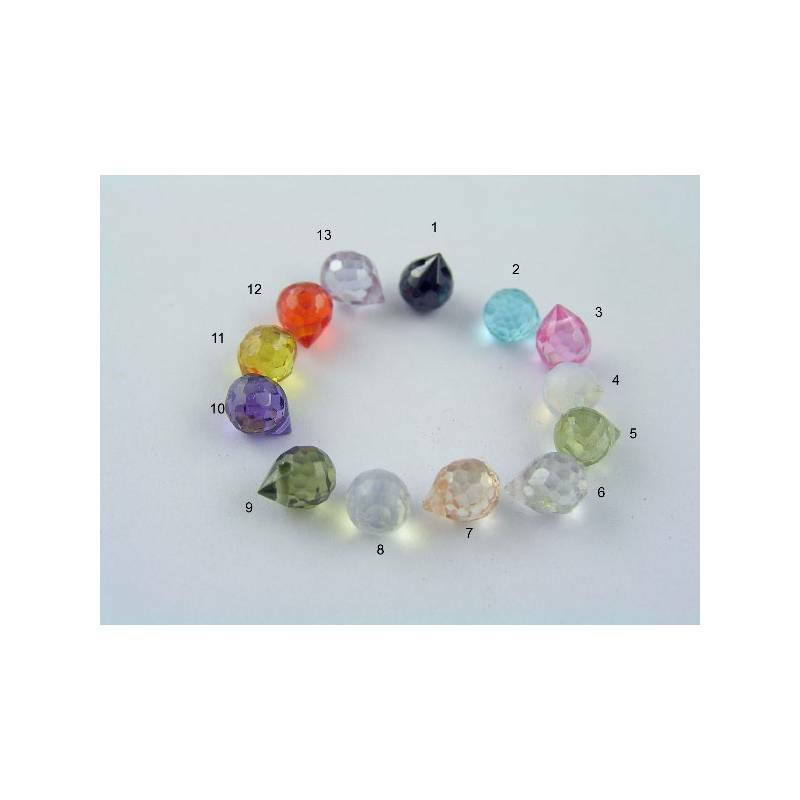 Please contact me before purchase for custom orders. 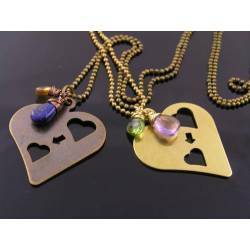 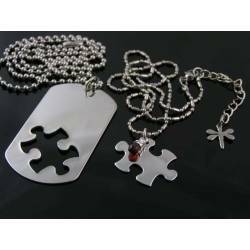 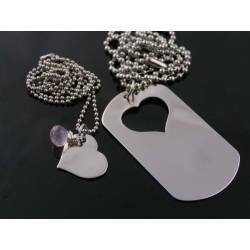 This listing is for two dog tags for couples. 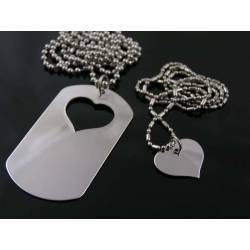 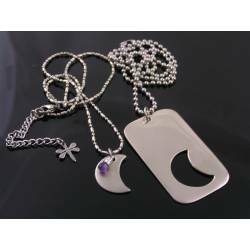 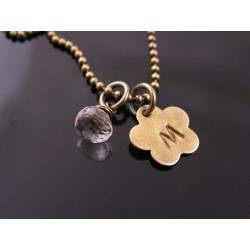 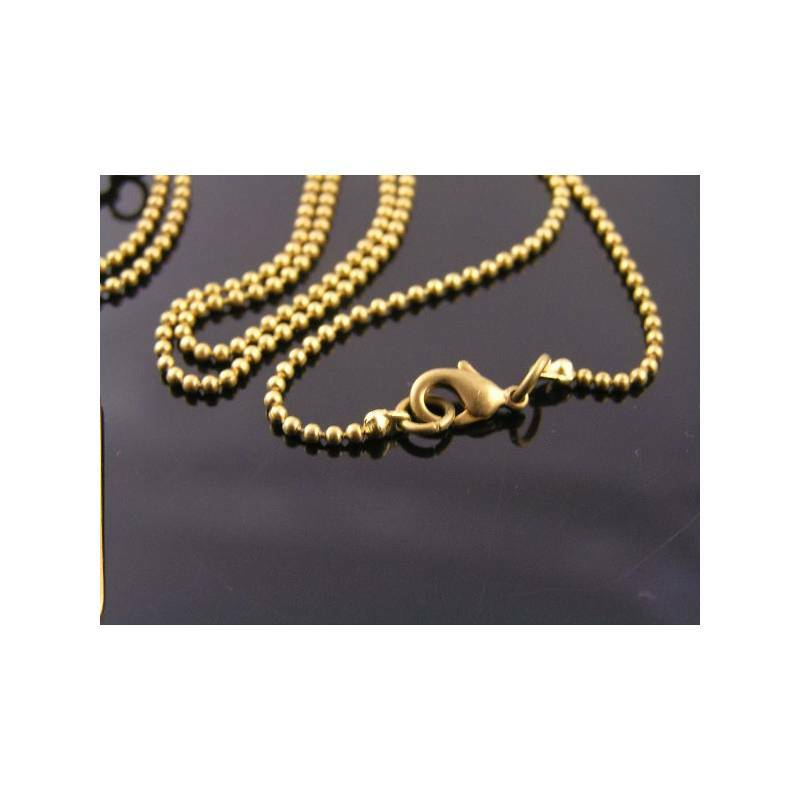 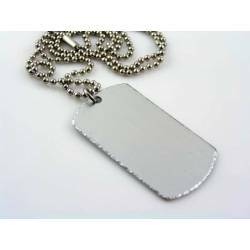 The dog tags are the same, the necklaces measure 43cm and 50cm in length. 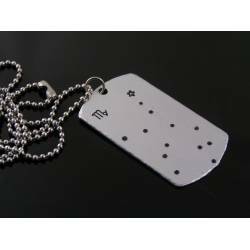 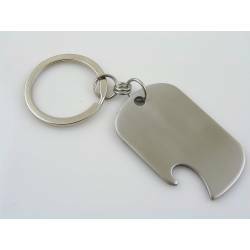 The dog tags measure 3 x 2 cm, they are a bit smaller than my stainless steel models. 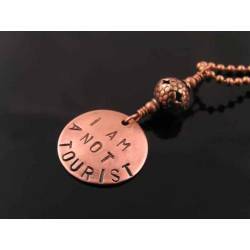 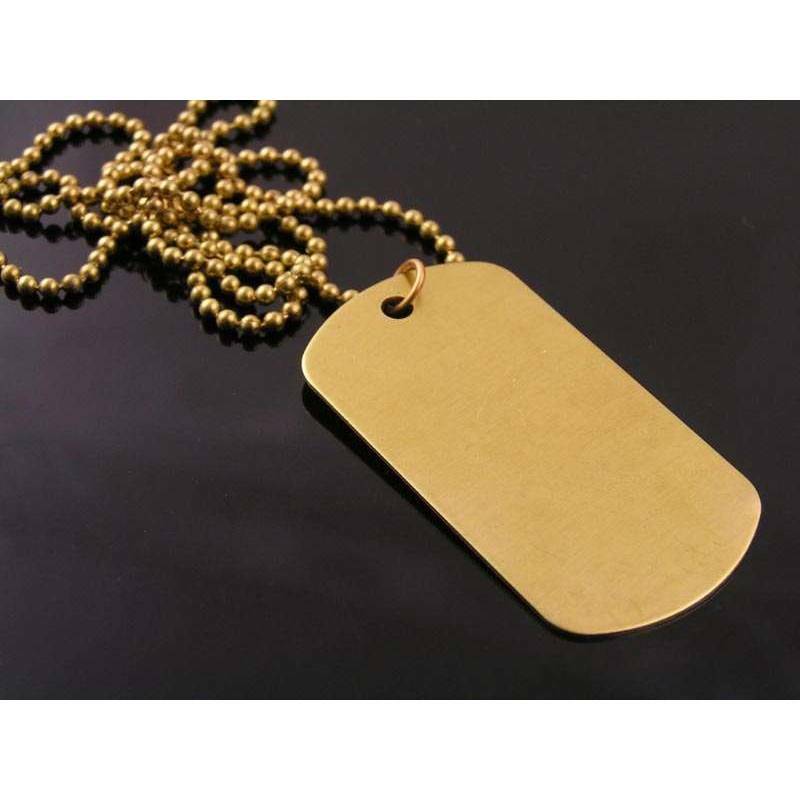 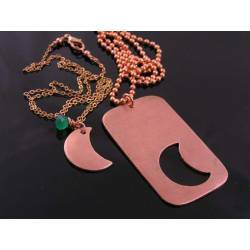 (I have larger brass dog tags available as well, please see the last photo). 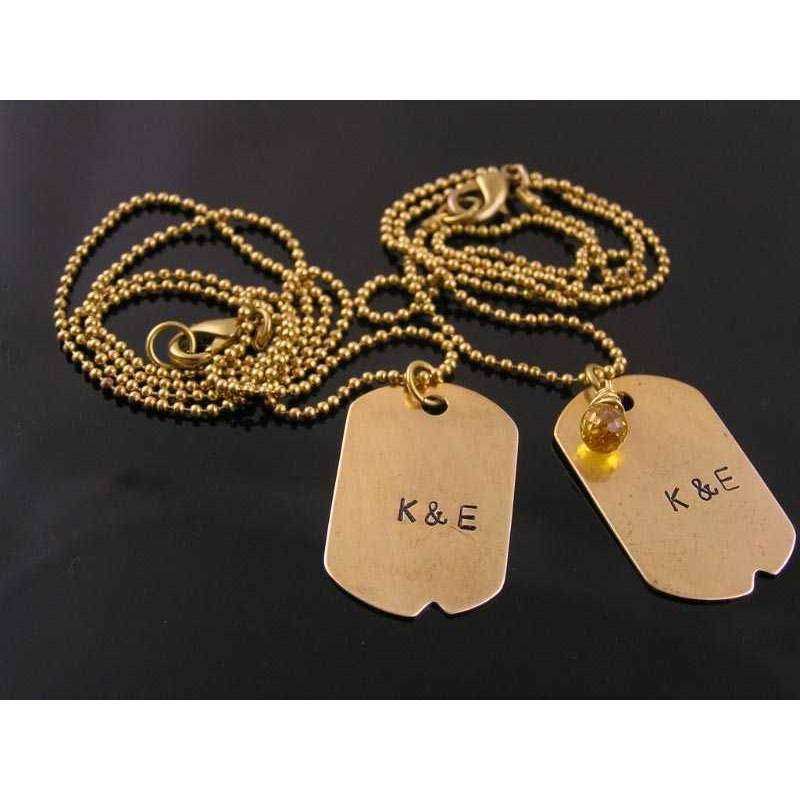 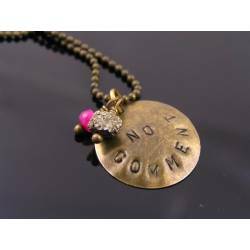 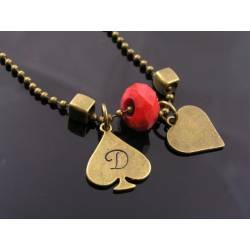 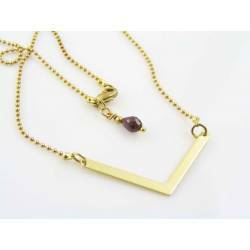 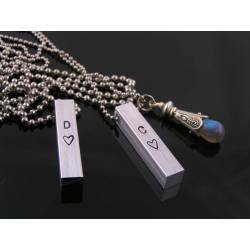 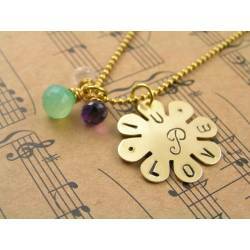 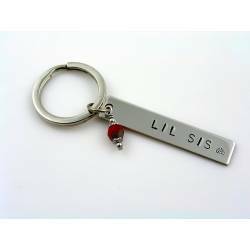 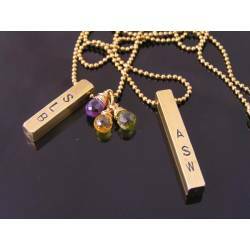 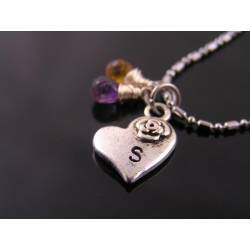 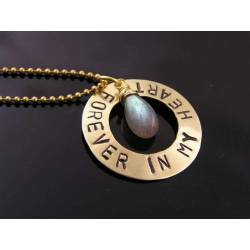 They can be stamped with a name or a date or initials. Shorter names will be stamped across, longer names along the dog tags. 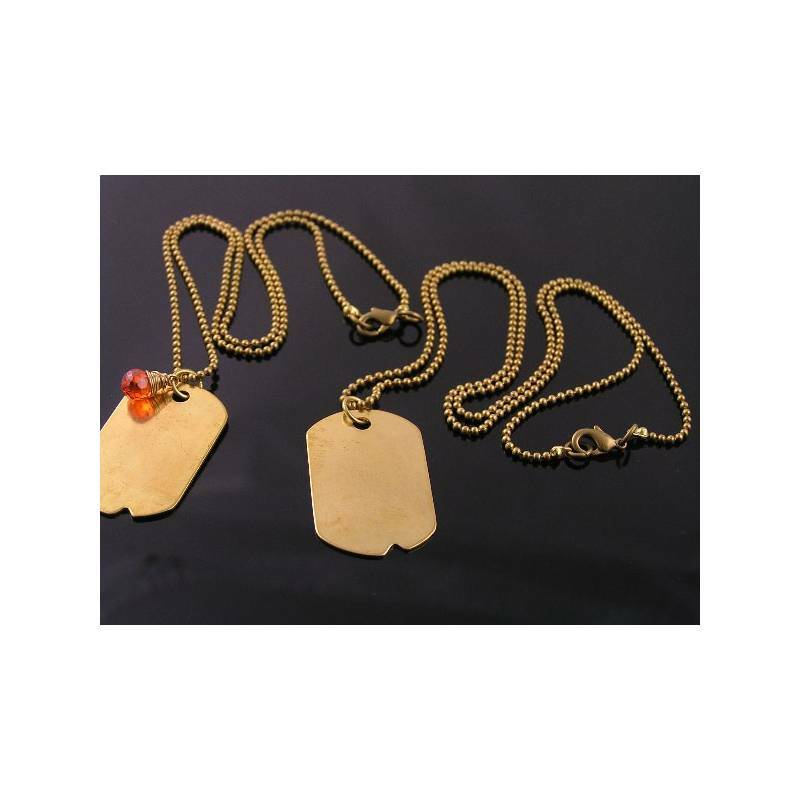 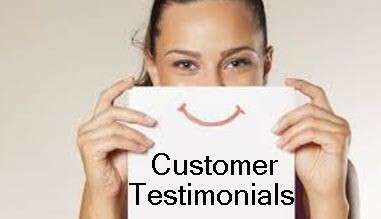 If you have a special preference, please contact me before purchase. 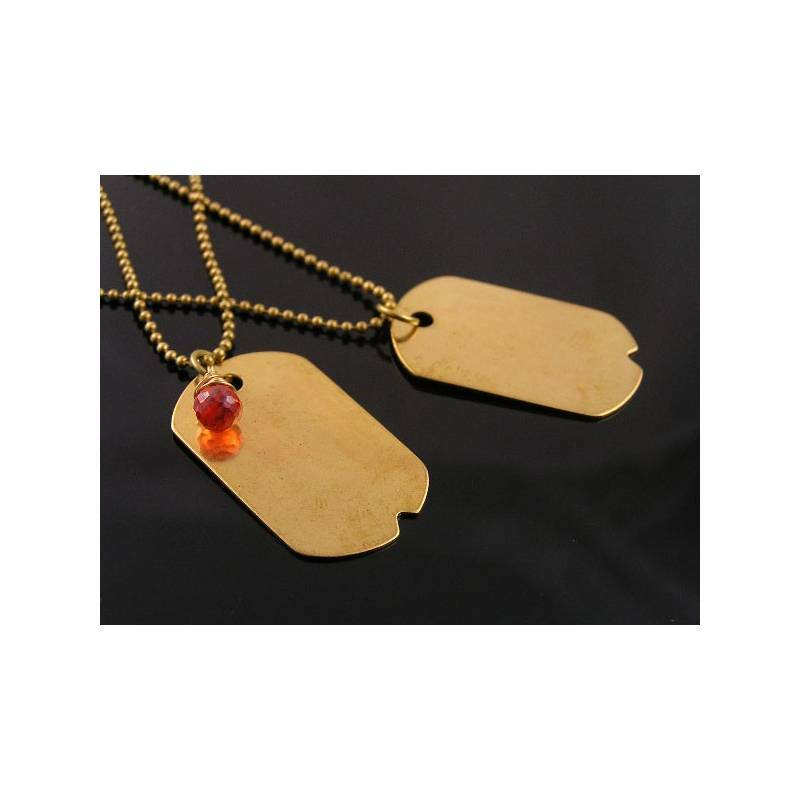 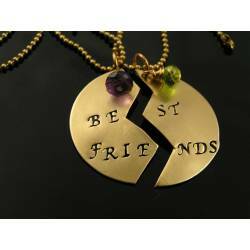 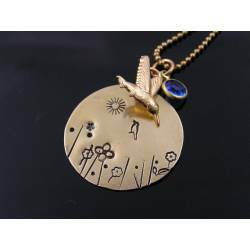 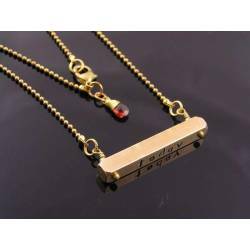 If you don't leave a note regarding personalization, the necklaces will come with blank pendants, as seen in the photos (and the red CZ attached to the shorter necklace as default).